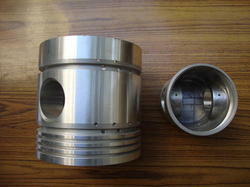 Prominent & Leading Manufacturer from Thane, we offer rubber pistons and piston. We have in store for our clients Rubber Pistons that is made using high grade metals and rubber. 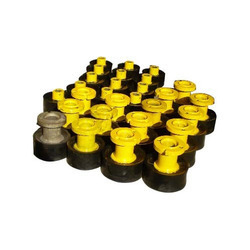 These are highly used for concrete pumps due to their high efficiency and resistance to oil and corrosion. We procure our material from some of the most authentic vendors to ensure superior grade products for our valuable patrons. These are widely acclaimed in the market for their accurate dimension, abrasion resistance, durability, low maintenance and high tensile strength. In order to accomplish the diverse requirements of esteemed clients, we are involved in offering a huge gamut of Piston and Piston Rings to our valuable clients. The offered array of rings is manufactured using high grade raw material and innovative technology at our manufacturing unit. Along with this, our quality controllers make sure to test the piston rings using rigorous methods to maintain its credibility. The products are also available in different sizes.